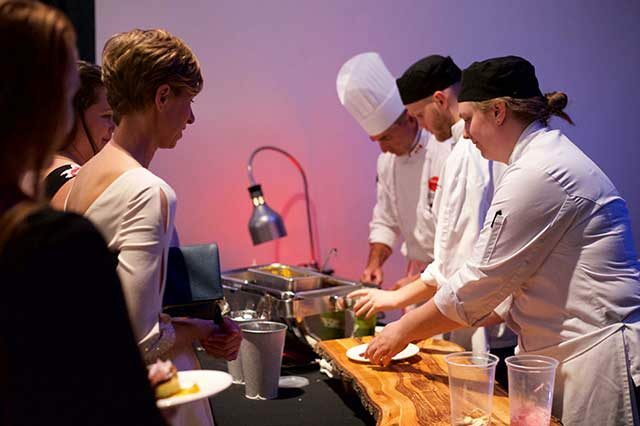 The idea to celebrate local artistic talent and fresh fine cuisine has been a successful one for the Kelowna Art Gallery—and it’s back! 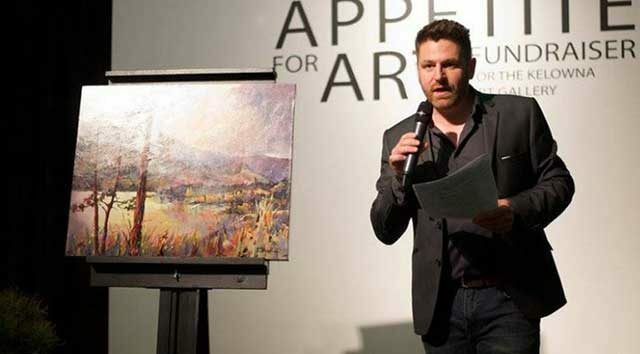 On Saturday, May 11, 2019, Johnson Legacy Wealth Management – Raymond James presents the Appetite for Art Fundraiser at the Kelowna Art Gallery. 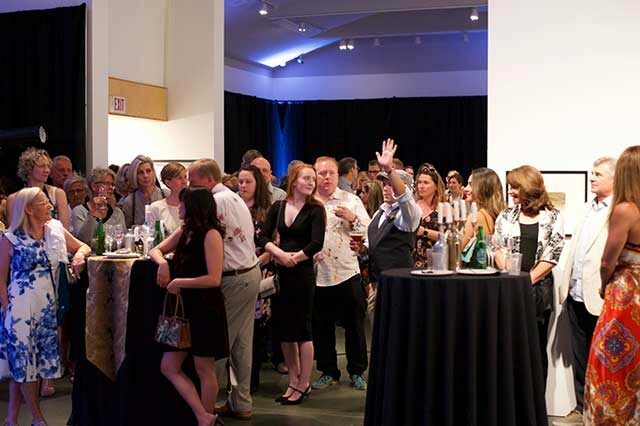 Proceeds from this important evening support children’s and educational programming at the Gallery. Upon arrival, guests will walk the red carpet with a glass of sparkling wine in hand, courtesy of beverage partner Blue Mountain Vineyard and Cellars. Works by twenty artists will be on display in the Gallery’s largest exhibition space, including many unique works created specifically forAppetite for Art. As guests mingle they are encouraged to bid on works of art that catch their eye, while they enjoy a roaming feast prepared by Waterfront Cafe & Catering, Joy Road Catering, Mission Hill Family Estate, Sandrine French Pastry & Chocolate, Okanagan Spirits Craft Distillery, BNA Brewing Co., Basil & Mint, Central Kitchen + Bar, NOMAD Cider, and more. Chris Walker, host of Daybreak South on CBC Radio will be returning as emcee for the evening. 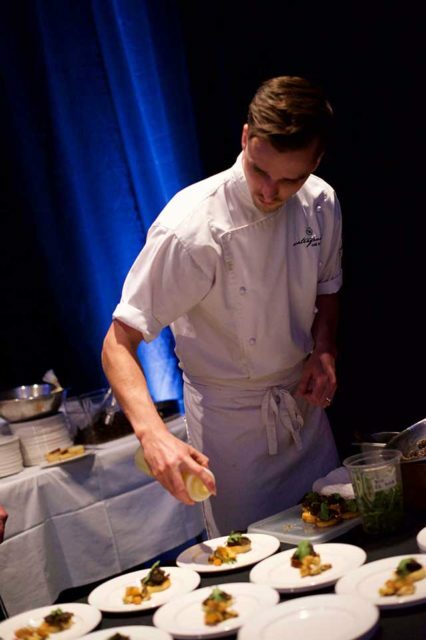 Tickets for the Appetite for Art Fundraiser are $120 per person, or four for $420. They can be purchased directly from the Gallery, online at kelownaartgallery.com, or by calling 250-762-2226. The Kelowna Art Gallery would like to acknowledge the generous contributions by supporting sponsors: Farris, Vaughan, Wills & Murphy LLP, Forstrong Global Asset Management, Mercedes-Benz Kelowna, RBC Wealth Management PH&N Investment Counsel, and Vineyard Developments. Media sponsors for the fundraiser are Castanet Media, CBC Radio, and The Daily Courier.